A new series of 2000M body belts offering all the same high-quality features of the 2000M with the added benefit of our Patented stacked D-Rings. The additional D-Rings are ideal for use when a secondary lanyard is used to climb over obstructions. 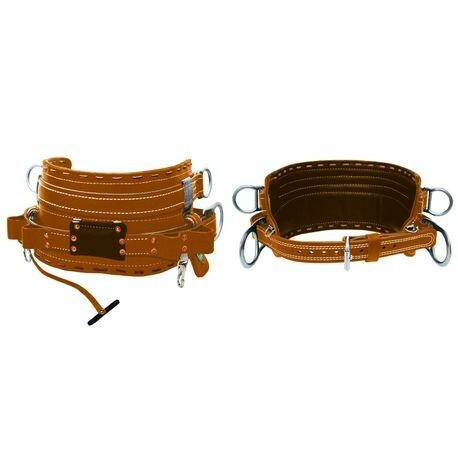 Full float body belt with a 5-1/2" foam cushioned pad with reinforced rawhide lace. Bridge pieces and belt straps crafted of leather with a nylon center to provide strength and longer life. Full floating primary d-rings that provide 4” of lateral movement to reduce wear on your pole strap.